Regular readers of my blog know that I recently attended the Texas Library Association’s annual conference in San Antonio. 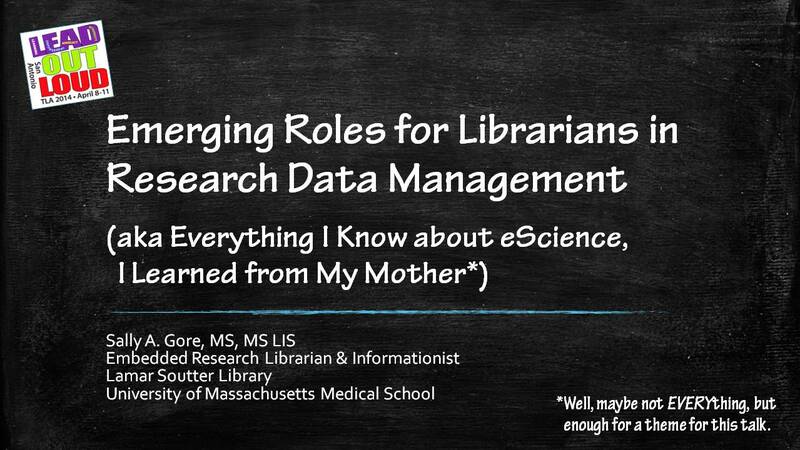 I was invited to talk about both emerging roles in eScience and embedded librarianship. It’s always good to start your talks on the same page, particularly when you don’t know your audience very well and the subject you’re talking about is bantered around in different ways in different circles. For clarity’s sake, I start with a definition of eScience, a guide to where I’m going and where I’ve been in terms of the roles I play in this arena, and a disclaimer. There’s always a disclaimer. My colleague, Donna Kafel, is the project coordinator for the eScience initiatives that emerge from my library and the National Network of Libraries of Medicine, New England Region. One of her jobs is to develop and maintain the eScience Portal for New England Librarians. Don’t know much about librarians and eScience? Give it a look-see. It’s packed with great resources and information. 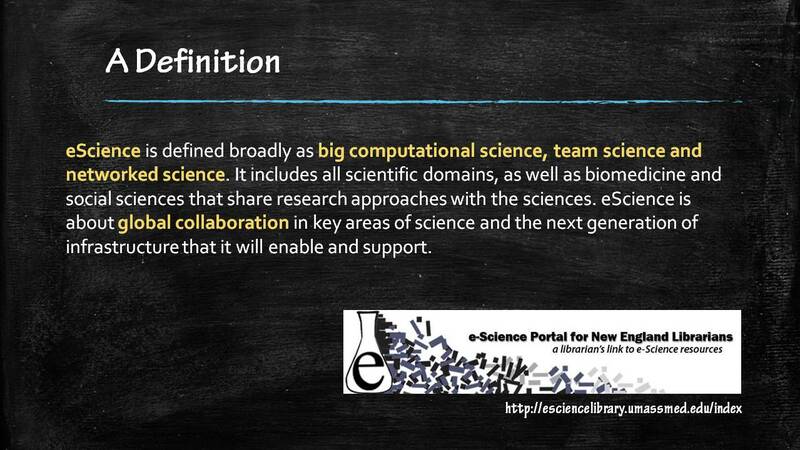 It’s from the Portal that I take the definition of eScience that I use. Bunch of words, but the highlights to remember are that eScience is big, computational, and done in teams that are connected via sophisticated networks. It involves collaboration across disciplines and across geographies, something that is possible today, given where we are with technology. One of the reasons that I’m invited to speak on this subject is because I do it. Since we received a grant from the National Library of Medicine to embed informationist services into an existing research study/team, I’ve been charged with developing and expanding these same services across our campus. 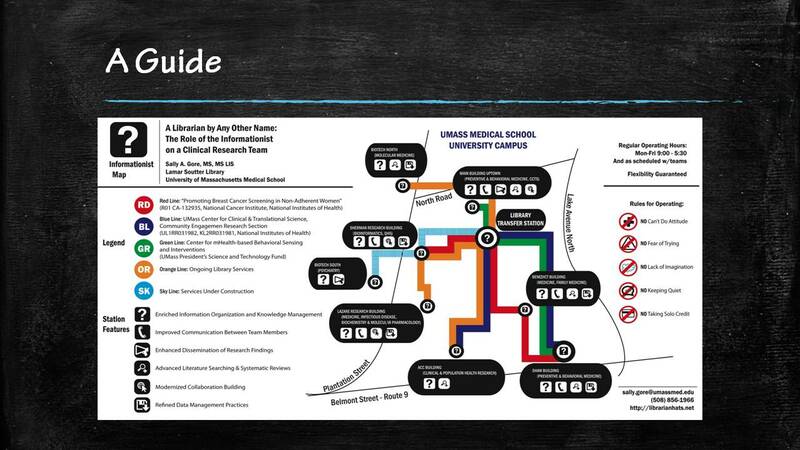 I’m happy to report that it’s been a successful couple of years, as you can see from my campus map that shows all of the projects, connections, routes, and services that have come to be. I’m also happy to report that the “under construction” line is now complete. We received word recently that our latest proposal for grant funding to bring informationist services to a large neuroimaging project on campus has come through. I’ll be starting work on that very soon. 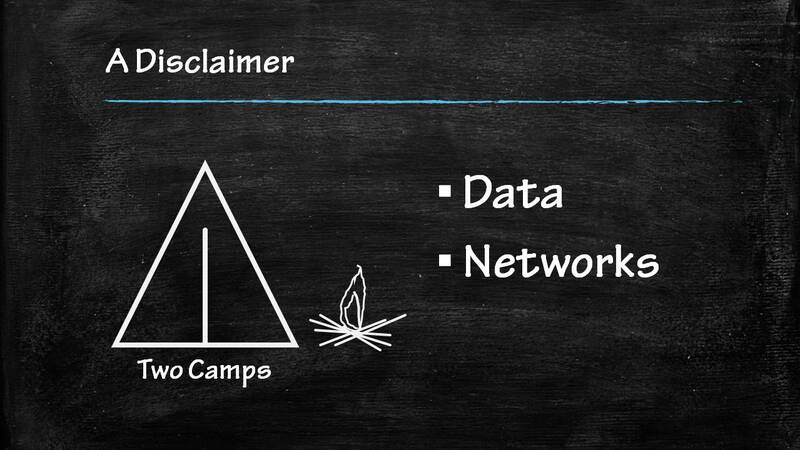 And a disclaimer; when it comes to eScience and libraries (or eScience in general), two fairly distinct camps arise. For many, the focus is on the data. It’s all about the data – creating it, managing it, saving it, making it accessible, sharing it, etc. There is MUCH talk of the role of librarians here. It’s important work and an extension of many of the services we’ve always provided (think cataloging, archiving, and digital repository work). eScience institutes tend to give a lot of attention to our emerging roles with data management. These are good roles, but my disclaimer is this… it’s not my personal favorite part about eScience. I’m also sometimes concerned that we pass on the second camp, i.e. we don’t think enough about what our roles can be when it comes to developing and supporting the network aspect of eScience. I believe that there’s much that we can do here and this is pretty much what I focus on in this talk; what’s our role in the network? Where do we fit with the people and what skills do we have or can we work on to make us effective? It’s here that my mom, not a librarian but a teacher, can maybe teach us something. She taught me, that’s for sure. 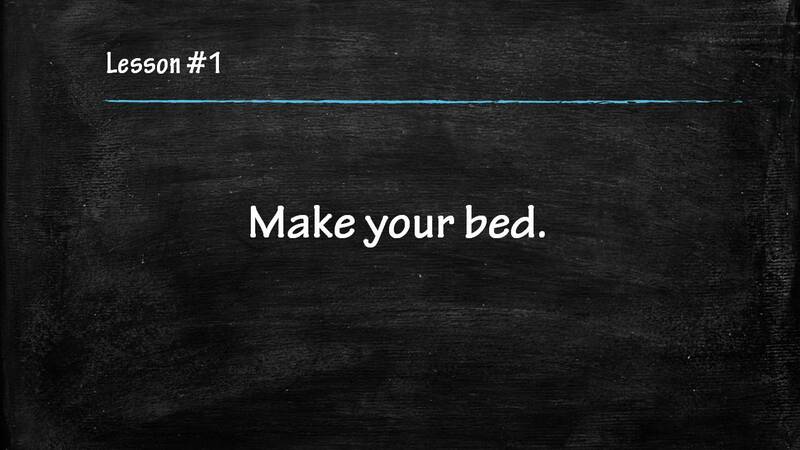 Lesson #1 – “Make your bed.” When you get up in the morning and you put your feet on the floor, the first thing to do is turn around and make up your bed. In doing so, you’ve started off your day by cleaning up one clutter. When it comes to working with researchers and research teams involved in eScience, keeping things in order and cleaning up the clutter is a key role that librarians can take on. Juggling multiple tasks, projects, times, and people isn’t easy – not for anyone involved in this work. Keeping things neat and organized from the get-go (e.g. 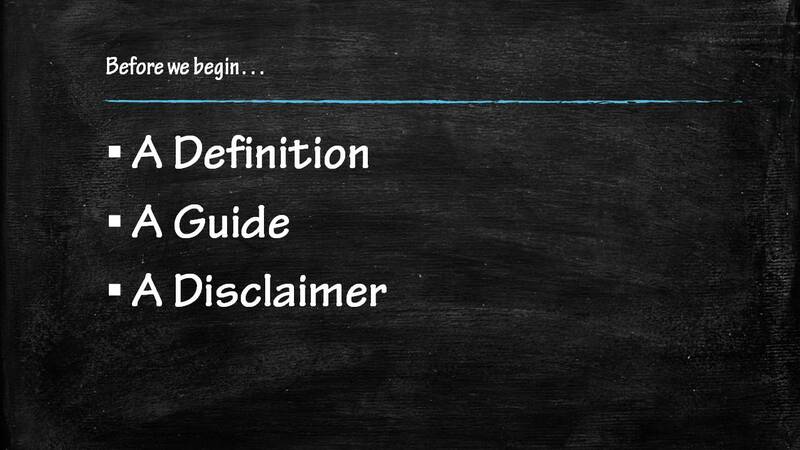 make those data dictionaries before you start collecting data) will help everyone find success. Next, do your own laundry. And do your own laundry as soon as you’re able. 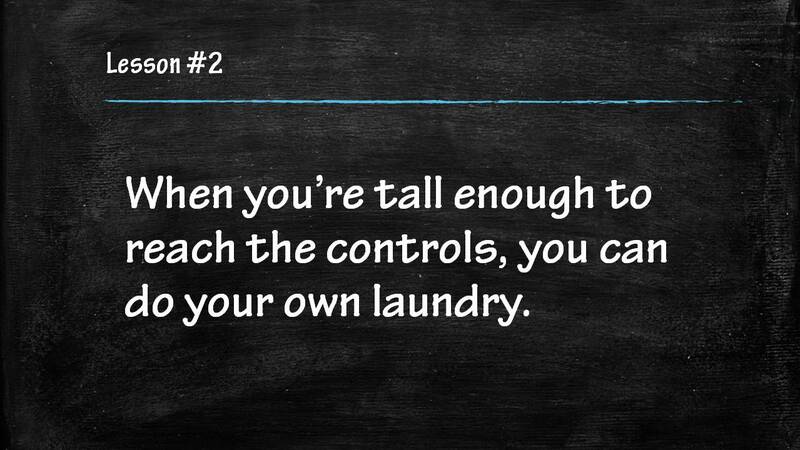 When my brother and I were growing up, the rule was that as soon as you could reach the controls on the washing machine, doing your own laundry was your own job. My mom worked full time and had a number of things that she enjoyed doing outside of our home and family. She felt it was only fair (and a good lesson in responsibility) if we took care of our own clothes. One of the really exciting things about working as an embedded librarian and/or informationist in research is that I get to take some control over my job. In fact, it’s my responsibility to take that control. Being fully embedded into a team means that you have certain responsibilities, certain tasks and roles that you and you alone have to do or they don’t get done. It’s the difference between supporting work and partnering on projects. Take control and do what you’re able to do – as soon as you’re able. That’s the lesson. Along the same lines, my mom often told us (and showed us) to do those things that you’re good at doing. 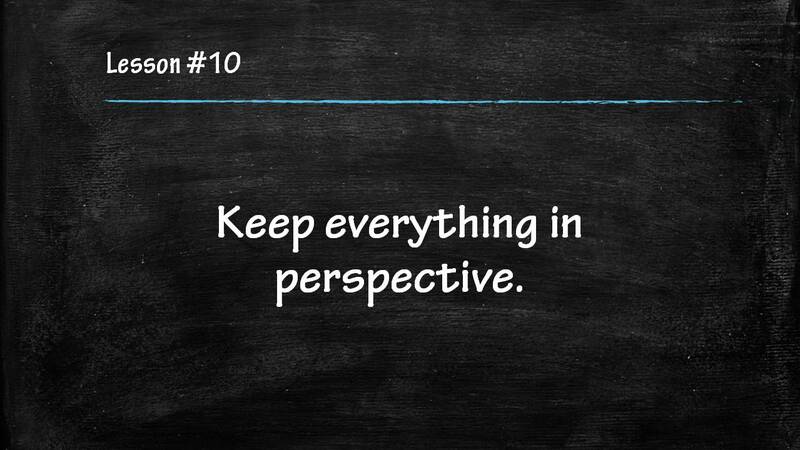 KNOW the things that you do well and become really good at articulating them. Interestingly, when we recently interviewed a number of people on our campus regarding how they work with their data and what they see as the role of the library in that work, more than a few admitted that they’d never thought of any role the library can play here. They never connected data with the library. That’s a challenge, but it’s also an opportunity. However, it only becomes an opportunity when you know what you’re capable of doing and you know how to express it clearly. 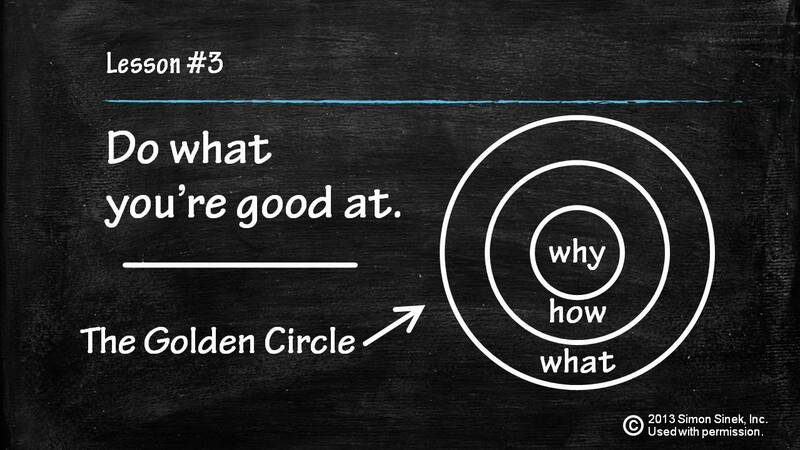 One of the best ways to convince people that we’re up for the task of providing new services in eScience is to “start with why.” Per Simon Sinek, we often tell people what we do and how we do it, but it’s the why we do it that gains their trust. Check out his TED Talk on “The Golden Circle,” if you’re interested in his theory. 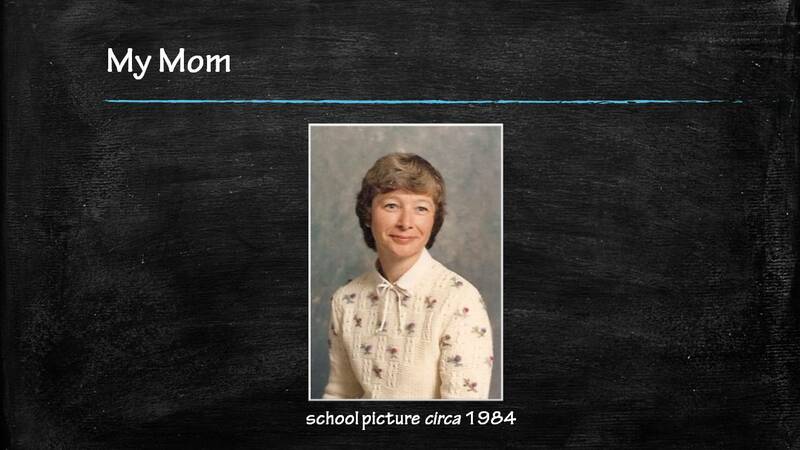 My mom was an elementary school teacher. She started out as a kindergarten music teacher. Of course she taught us to make friends. She taught us songs about it. 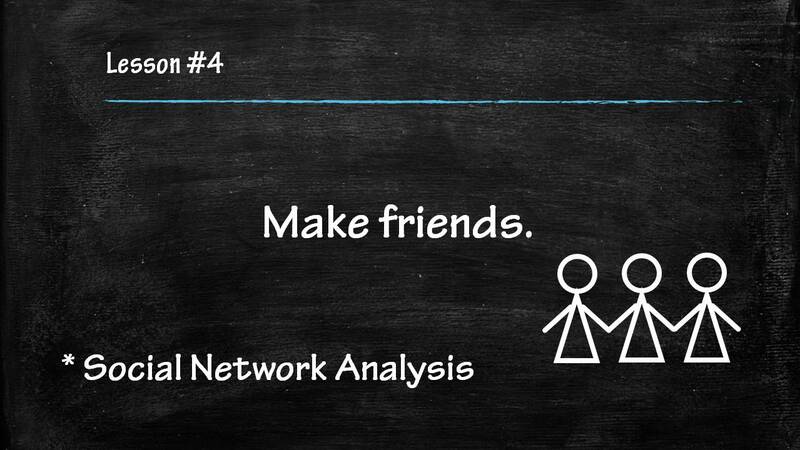 One of the really cool skills that I’ve been working on acquiring during the past year is social network analysis. In a world where demonstrating the success of networks and the spread of your science is essential for both the evaluation of funding and securing the same for future projects, social network analysis is a powerful tool. I’ve also noticed that it’s not a skill that too many people around my university have. This makes it pretty valuable. Being able to do something that’s both needed and wanted puts you in a winning position. My mom was the president of her garden club, the vice president of her needlework guild, a mentor to younger teachers, a leader in our church, and a coordinator of outings or parties for friends. She taught me the importance of service and the importance of leadership. She taught me that you have an obligation to lead people in those things that you know, you do well, and you enjoy. For librarians seeking to work in team science, the desire to lead is an imperative. We might not be the principal investigators on these studies (the leaders on paper), but we have to take the lead when it comes to managing and organizing the information flow that makes teams effective and efficient. That’s our job. 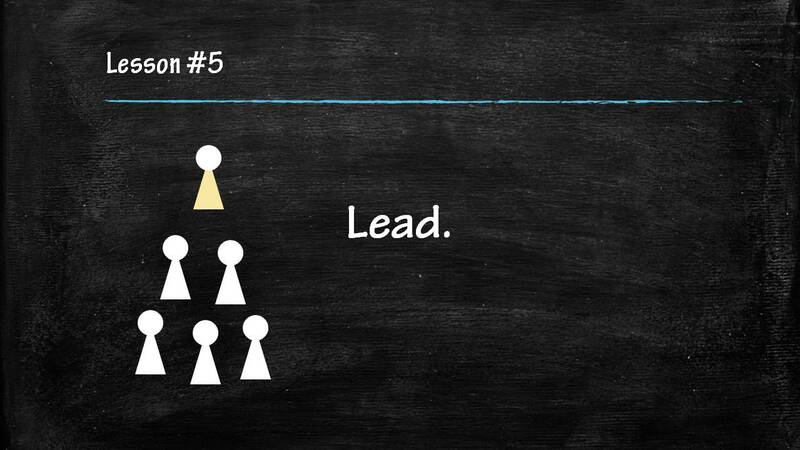 Take the lead in doing it. “Show your work! 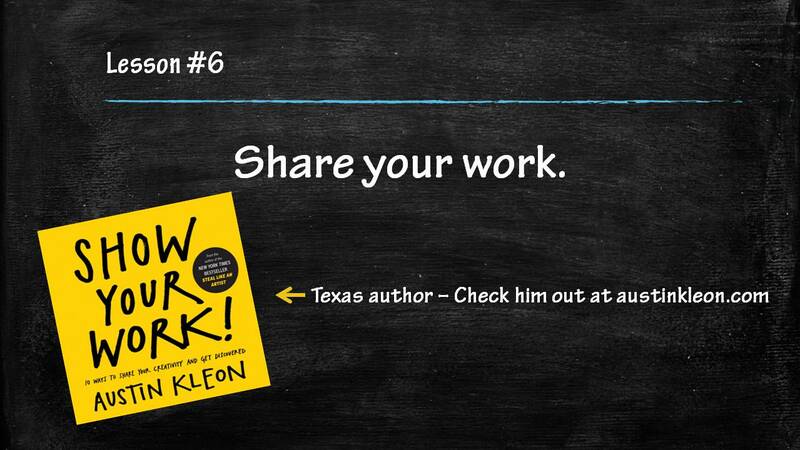 No one else is going to.” This is but one of the great lessons you can find in Austin Kleon’s latest book. He’s writing to artists, but it’s really a good lesson for librarians, too. Show and share what you know, what you do, and what you’ve done. We can no longer rely upon people simply finding all of the resources that the library has to offer. Our electronic resources are vast and often buried. Our professional services are stereotyped. It’s nobody else’s responsibility to get the message that we want people to know out. It’s our responsibility. Tell people what you have to offer, what the library has to offer. My mom entered her original pieces of needlework in competitions. She shared her skills with others by teaching and mentoring. Years before I came across this nice little book, I learned the same lesson from my mother’s example. When I was off at college and called home (we’re talking once a week, maybe – such a different world than today), I’d talk to my dad about the latest sports scores or about camping trips he was taking with the Boy Scout troop. Fun stuff. Then I’d always say, “Can you put Mom on the phone? I have something important to say.” If I needed a check for tuition or if I needed to say that I was coming home next weekend, I had to tell these things to my mom. I could tell my dad the same, but if I want it remembered or needed some action taken, I told Mom. She got it done. The lesson? Be the person that people know to seek out when they need something done! Just as my dad was the one to talk fun stuff with, he was also often the one to do fun stuff with. One of these things was backpacking. Alternating between my brother and me, he’d take us on week-long backpacking trips along the Appalachian Trail throughout Virginia. I was probably around 12 years old when he took me for the first time. I remember my mom drove us up to the trail head, several hours from home, and as she was about to leave I asked her, “Are you going to be okay without us? Are you going to miss us?” She smiled, gave me a hug, and said, “Oh, I’ll miss you, but I’ll be just fine,” code for “I can’t wait for a week by myself!” It was a great life lesson, not just an eScience lesson. 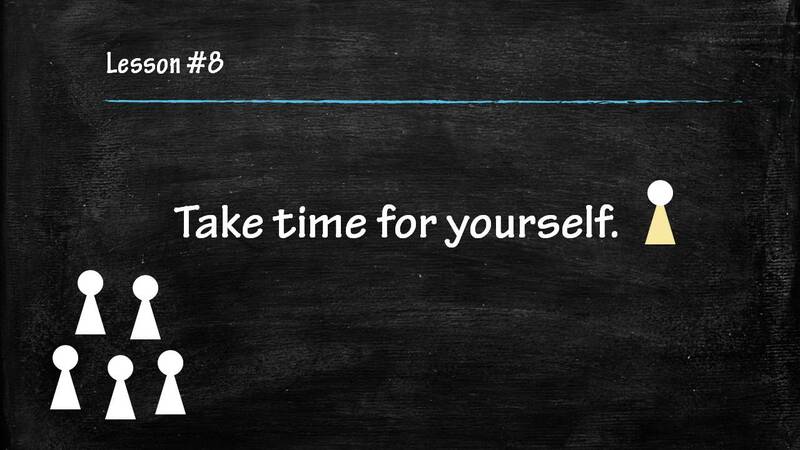 To be good at what we do, we need time to ourselves. We need the time to figure things out, gain new skills, and keep up-to-date on current trends. We also need the time for things we enjoy, things outside of work, and things that keep us happy and healthy. We’re better at pretty much everything when we have that. Do yourself a favor. Leave the email alone until tomorrow morning; until Monday. Really. It will be just fine. Over dinner during my first night in San Antonio, I was asked where my creativity comes from. I answer with no hesitation, “My mother.” Art, sewing, music, cooking, gardening, and flower arranging were all things that my mother loved to do and she did them all very well. And like any good, creative person, she never stopped trying new things and learning new things. There is so much in both scientific and popular work today regarding creativity and how important it is to success in almost any vocation. 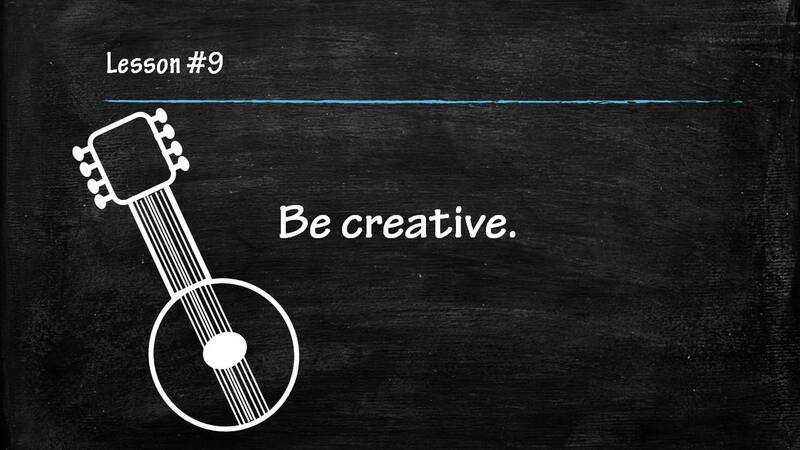 Creativity as an informationist is seen when we come up with new ideas, new solutions; when we see new connections and patterns that make the science happen. That’s a role we play in the network, i.e. the role of seeing the possibilities of where and how connections can be made. That’s creativity. I got many a thing from my mother, but this is likely the thing that I’m most grateful for. The last lesson that my mom taught me was one that she didn’t plan on teaching, at least not the way that she taught it. My mom’s life ended suddenly on a snowy day in January of 1985 when the car she was driving was hit by another whose driver lost control of it on an icy road. Life – including everything of life that’s related to work – needs to be kept in perspective. A bit of stress over meeting deadlines, meeting budgets, dealing with people, dealing with changing times and the uncertainty of the future… these are all to be expected in our work lives, but the bigger picture is always bigger. Helping people is our job. We help who we can, when we can, and how we can. The “data deluge” and the “information explosion” and the “crisis of librarianship” are each due their share of our attention and concern, but the lesson that I learned from my mom is that things can change in an instant. Life can change in an instant. It’s in the showing up and building relationships and doing what we’re both good at and what we enjoy that we find real success – the kind that lasts through every economic cycle, every new technology developed, every new service rolled out. eScience with its big data, networks, and embedded services are one playground for today. Who knows where we’ll be next, but it’ll surely be somewhere else. Keep perspective that today is today. And do your best now. I can hear my mom saying it. Now this is some highlight in my career! 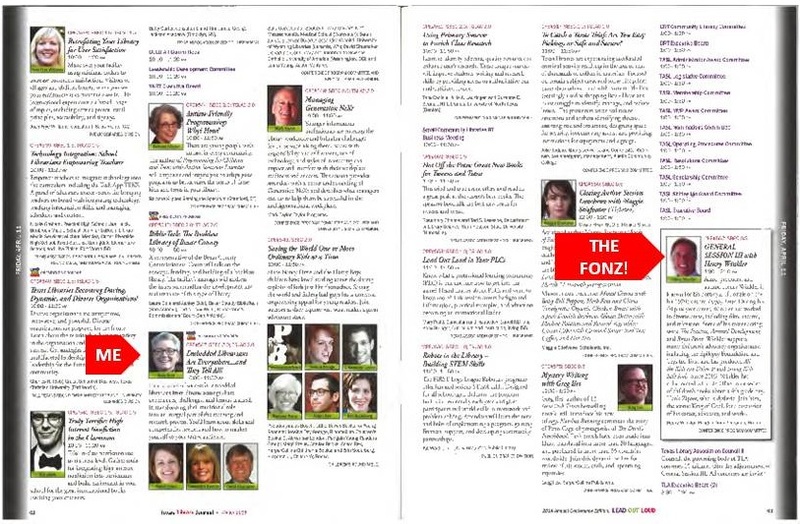 For a librarian who was in the 5th grade when “Happy Days” first aired, sharing a spread with the Fonz is … AAAAAYYY! If you happen to be attending the Texas Library Association Annual Conference in San Antonio in April, look us both up! Eliza meets the sand and sea. Love at first sight. It’s been one of those weeks filled with activities that took me away from my normal work routine. Monday was a holiday and I enjoyed a wonderful, long weekend on Cape Cod, introducing my new puppy to the Atlantic Ocean. Now that was fun! On Tuesday, the staff of the NN/LM NER invited members of its Regional Advisory Committee to attend a day-long update of all of the activities and accomplishments they’ve experienced during the first half of their current contract. I attended as the representative from NAHSL. Besides getting a terrific review of the work of the NER (despite the fact that I work in the same Library in which the NER is housed, I don’t actually know everything that they’re doing), I also realized yet again how much our profession – and in particular, our professional organizations – need a knowledge manager. So many opportunities are available for librarians and other information professionals to learn new things, gain new skills, fund new projects, and network with colleagues in different (but related) fields, yet too often these opportunities go unknown by a good many people who could benefit from them. We lack any centralized way of informing those in the profession of all of that’s available to them. As I sat at the meeting, I couldn’t help but think that we really need to figure out a way to better coordinate all of our efforts. I also couldn’t help but think up a few ideas regarding how we might do this. Stay tuned as I try out a few on this blog. Wednesday found me spending much of the day prepping for, getting to, and offering up a lecture to the students taking the Research Data Management course being offered by Simmons College’s LIS program this fall. This course, taught by my colleagues from here at UMMS, Elaine Martin, Andrew Creamer and Donna Kafel, has been a great success for students in the library science program who wish to learn about this emerging area of work. I’ve been invited both semesters it’s been taught to come and share my experiences and offer my thoughts on the role of the informationist and/or embedded librarian in research settings today. It’s always a tremendous chance to share with interested and engaged librarians and/or librarians-in-training about the work that I do. They always ask really thoughtful questions and along with my talking about what I do, we never fail to have a good discussion about the profession as a whole and where we might be heading. And then, as a bonus, when class was over, one of the students asked if she could have her picture taken with me. I asked why she would want such a thing and she said, “I just LOVE your blog!” Now THAT is a sign that I have reached some sort of surreal place in the land of blogging librarians, isn’t it?! Yesterday, I had another opportunity to speak to a group of LIS students, this time via a webcast to the Special Libraries class in the University of Alabama’s LIS program. Again, it was just wonderful to get to talk for an hour or so with a group of people so excited to enter into our profession. Their energy and the enthusiasm for being future librarians was palpable, even over the Interwebs. They aren’t without many of the same anxieties and questions that those of us already working experience, e.g. libraries closing, librarian roles changing significantly, etc., but they appear ready and willing to ride the waves of the future and personally, I think that’s just the attitude that will bring each of them success. Today, a blog post that I was invited to write for the Special Libraries Association was published. Please give, Playoff Season for Information Professionals a read and let me know what you think. And lastly, those of you who have been reading this blog all along know that at this time last year I enjoyed the thrill of a lifetime when I got to be Curious George at the Boston Book Festival. Well, tomorrow will find me at this year’s BBF being TWO different characters. Multiple personality costume wearing! Tune in next week for pictures and a recap of the fun! And if you’re close to the City, do consider coming out to Copley Square and the Boston Public Library for the day. It’s a great event featuring 150+ writers, workshops, events for children, exhibits by numerous literary-related groups, and more. And it’s all FREE! And if you see Lyle, Lyle Crocodile or Bad Kitty along the way, say hi! The theme for this month’s international Open Access Week celebration is entitled, “Redefining Impact” and will focus on alternative metrics (altmetrics) and the emerging realization that there are better ways to measure the reach of one’s research than simply how many times a published article about it is cited. Publication certainly has value, but in today’s world with so many faster, far-reaching, and varied means of communication, scientists and others in academia need to recognize – and track – how well their work is or isn’t getting to its intended audience (and, perhaps, beyond). Similarly, with funding harder to come by and the cost of everything rising exponentially, e.g. healthcare, education, food, clothing and shelter, the pressure is on from administrators, funding bodies, and the general public for these expensive endeavors to demonstrate their value. If the NIH gives a scientist several million dollars to carry out research, the expectation is that the outcomes will be worthy of that grant funding. If you pay $100,000+ for a four-year education, you expect to walk across the stage four years later with more than a piece of paper claiming you have a degree. More and more, we want demonstrable value for our investments. Yet, value is a difficult thing to measure in numbers, of course, and this is what makes the task so difficult and, often, elusive. There are many articles and blog posts and online discussions on the topic of assessing the value of libraries, written by people with much more expertise in the area than I have. If you’re interested, I’d recommend Megan Oakleaf’s white paper, The Value of Academic Libraries, that grew from the ACRL-commissioned study of the same name, as a starting point. In this post, I want to ask instead how we measure not the value of libraries, but librarians. What are the altmetrics that we need to collect on ourselves to demonstrate that the work we do matters to our patrons? As an academic librarian, I’ve built my portfolio of those tools that we tell researchers to build themselves. I have my ORCID profile, my ResearcherID, and my ImpactStory. I’ve registered this blog with ScienceSeeker. I have a LinkedIn account. I put my presentations on SlideShare. I tweet prodigiously (@mandosally). These things have been successful in raising my profile within my profession. They’ve garnered me a small band of loyal followers, invitations to speak at conferences and to be part of webcasts, the opportunity to teach classes to a number of library staffs, and the odd-but-thrilling connection with a few real celebrities. It’s all wonderful stuff and I wouldn’t trade a bit of it. But… what does any of it say regarding my value as a librarian to the research community that I serve here at the University of Massachusetts Medical School? How do I measure that? What altmetrics are there that I can track and collect and show to my administrators to prove to them that I am, in fact, adding value to the work of the people that I serve and thus, ultimately, to the library? To me, this is an unequivocal demonstration of my value as a librarian on that particular day. I did my job and I did it very well and I have the proof, in a tweet, of this fact. Great, isn’t it? But short of taking screen shots of tweets and email replies, short of catching conversations with grateful patrons on video and posting them to YouTube, short of saving notes and phone messages and journal entries describing “good days”, how do I systematically capture all of this “value”? It’s a challenge. It’s perhaps THE challenge that any and all of us who work in information, innovation, and intellect, and the service roles that operate in those realms, face. It’s perplexing. This week I’ve been reading Kim Dority’s book, Rethinking Information Work, and I really resonated with her sentiment that ultimately we are all self-employed. And believe it or not, this is good news. Because if we understand that regardless of our current employment situation we are solely responsible for the well-being of our careers (and paychecks), that means we can take control. We can focus not on lifetime employment, but on lifetime employability. One thing that I often find myself saying to colleagues, particularly newer grads from library schools, is that when you successfully embed yourself in the work of your patrons, your own value – and your job security – rises much more than if you were only trying to prove your value to your library directors and managers. This is because, if you want to talk numbers, there are more of them than there are library directors and managers. The word gets out that you’re worth having around – that you can do this and that and the other thing that they never knew before. And suddenly, you have done for yourself what can’t easily be captured on any annual evaluation, but is worth much more. You have made yourself employable, regardless of any circumstance. In a time of tight budgets and job cuts and the very real struggles of librarians to keep their libraries open, this is likely the biggest asset you can have. Perhaps for a long time, librarians depended upon their libraries for their value. We counted on the intrinsic value of the institution to give us worth. Perhaps today, however, it’s the institution that is dependent upon those of us who work in it to bring that value back. And this is why, I believe, we need to shift the discussion from measuring the value of libraries to measuring the value of librarians. Those are the altmetrics that I’m still waiting to see emerge. I read Sally’s latest post with interest as it suggests questions about the embedded librarianship model that I have been thinking about as we embrace this new model of librarianship. I would categorize the questions she poses under the heading of “professional identity.” Professional identity is not about professionalism. Professionalism to me implies behavior. But professional identity goes to the core of who we are as librarians and the values we hold dear. The post suggests that embedded librarians as they steadily move outside the library and into research teams may be neither “fish nor fowl.” Is the embedded librarian’s professional identity with the library or with the team? Second, will the embedded librarian somehow achieve more autonomy over their time and work if they are identified more closely with their research team than with their home library? Librarians have always held dear the value of equal access to information for all. If we move our professional identity away from the library to the research team are we willing to question, and possibly reject, rethink, and redo that value? Will we be able to provide the free information access, such as ILL, to all our colleagues? Will we serve only those departments that have money to pay us? Must we reject our core values in order to transform our profession? I don’t have the answers to these questions. But I will be exploring them further as we continue to develop our embedded librarianship model. There are opportunities for you to participate in these discussions, too. AAHSL will be hosting a series of three webinars highlighting the informationist projects and Neil Rambo and I will be giving the administrative perspective. Watch also for the next issue of the Journal of eScience Librarianship where I will have an editorial on the issue of professional identity. Thank you Sally, as always, for sharing your thoughts on the embedded librarianship model and raising the questions that we need to discuss as we move forward. I’ve had a rotten week or at least the kind of week where too many things haven’t gone the way I’d like them to go; online conference applications, insurance company coverage changes, my puppy. I say this as a preface to today’s post, stating that while I’m still the biggest cheerleader for library innovation and new roles, right now I’m tired. And it might show in my thoughts below. 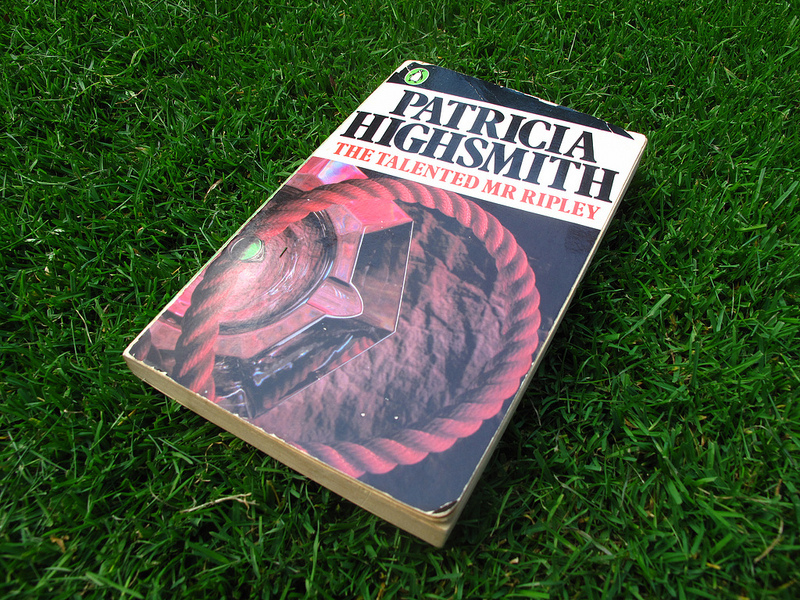 Patricia Highsmith was a terrific writer who could create a story of suspense to rival the best; her novel, The Talented Mr. Ripley, the perfect example. If you never read the book, you might recall the movie adaptation that came out in the late 1990s and starred several pretty people – Matt Damon, Jude Law, Gwyneth Paltrow, and Cate Blanchett. It’s a story of a young man who so longs to live in a world of which he is not a part, that he befriends someone in the circle on false pretenses, and ultimately (SPOILER ALERT) murders him to assume his identity. Lately I’ve been feeling a little Ripley-esque in my work. Being a part of a research team is a great experience. As I’ve written numerous times over the past months, one of the things that defines the embedded informationist is having a place on the team. An equal place. Everyone brings his/her skill set and expertise to the team. As I’ve served on the mammography study team, the mHealth project, the Community Engagement Research Section, and a grant-writing team for a potential PCORI study, I’ve been more than welcomed as a true team player and one who brings needed knowledge and skills to the work. I love what I do. But the truth of the matter is that not everyone on a team is equal. An embedded librarian, no matter how much s/he builds partnerships and collaborations over support roles, is still, by the nature of the work that we do, providing support to the work of the team. Information management, knowledge management, data management… it is all essential, but still something like the infrastructure of the team, i.e. a foundation for things to run more smoothly, efficiently, and effectively, but not in and of itself (necessarily), the driving force. That role(s) falls to the researchers. They are, ultimately, at the helm. It’s a significant point. Tom Ripley was never a true peer to Dickie Greenleaf, because he was not of the same pedigree. Doctors travel in the circles of doctors, researchers in the circles of researchers, and librarians in the circles of librarians. This isn’t to say that we don’t mix and mingle OR that we don’t need one another in our respective work OR that we don’t provide those necessary skills to make our respective work go better. But we do have different jobs and with them, different expectations, obligations, and/or constraints. We know our own worlds best and while we can do really, really well operating in another’s world, it still isn’t quite ours. My Tom Ripley persona is no doubt brought on lately by my sense of being pulled in multiple directions. This is natural, I know, for anyone juggling multiple projects. It’s hard to stay on top of everything and it’s easy to feel overwhelmed. The same qualities of the work that make it so exciting and fun, e.g. variety in subjects and people and tasks, also make it feel, at times, like a tidal wave. After all, an embedded librarian is still only one person, and as is almost always the case, also a non-embedded librarian. In other words, you give a lot of yourself and your time and your focus to the teams of which you’re a part, but you’re also still a part of the library and with that comes a whole other plate of responsibilities and an environment that, even at its most flexible and/or autonomous, answers to a public and an administration that requires people to be at certain places at certain times. It’s part and parcel of working with the public, something that is not necessarily an issue in research. Yes, some researchers work with the public. Clinicians certainly work with the public. But there is a schedule in those worlds often driven more by the former’s calendar than the latter. Similarly, many of the researchers (particularly clinical researchers) that I know wear multiple hats. They see patients, they sit on teams, they teach, and they work for different departments. They also balance a lot of things. Yet, there is something different in their work, compared to mine. Or at least I feel that way today. (Maybe differently tomorrow.) One of the things that I think that’s different for these professionals, compared to librarians, is the understanding that continued education and professional growth is a given. It’s an expectation of your work. It’s part of your work. After all, if you don’t stay up-to-speed on your skills and your subject knowledge, you become somewhat dangerous, if you’re a doc, and/or irrelevant and unfunded, if you’re a researcher. The informationist who cannot afford to keep up his/her knowledge in both areas gradually becomes less and less effective in his/her work. And this, my friends, is where our professional circles lose their Venn Diagram overlap. Our emphasis is still very much weighted in favor of improving our librarian skills over the other knowledge/subject areas/expertise that we bring to the table. For those, we still need to do a lot of work outside of work, on our own time, on our own dime, and of our own initiative. Now I don’t want to sound like I’m whining. I imagine that anyone who seeks to be really good at what s/he does, does this. I know that I’m never going to be a better mandolin player without practicing; without doing a lot of work at times that I could be doing something else, and for an amount of money that I could be spending on something else. But that’s me learning to play my mandolin, not me learning to do my job better. I know that researchers don’t have unlimited funds and/or time to go off willy nilly attending every conference or class that they wish, either, but I do think that in this age of multidisciplinary and cross-disciplinary research, librarians who want to support such projects need to find a way within our working lives to follow the lead of researchers and keep current in multiple areas. Ahhhh… but that’s way easier said than done when we’re still part of a department that is dependent upon a core group of people, resources, and services to remain viable. Embedded librarians and informationists, unless they are full-time employees of a clinical/research department (or dare we one day go the way of consultants), still answer first and foremost to their libraries. At least this is still our expectation. I don’t know if, when, or how it could change, but in my own personal quandary, trying to figure out where we belong most now, I’ve been asking if it needs to change. And while I don’t believe that any change will help us completely shed our separate circle from the docs and PIs, I do believe that any and everything we can do to gain credibility in their circle is warranted. And few things do that better than being able to speak their language, not just librarian talk. I just returned from the bookstore where I bought myself a few Tootsie Rolls (yes, my tooth is much better, thanks), my reward for sitting through a 90-minute webinar. This isn’t to say that the webinar wasn’t interesting, but more that I believe in positive reinforcement and extrinsic motivators. Walking to the store, I was thinking about the question that comes up so much in classes, presentations, talks, and webinars on the topic of emerging roles for librarians today, i.e. 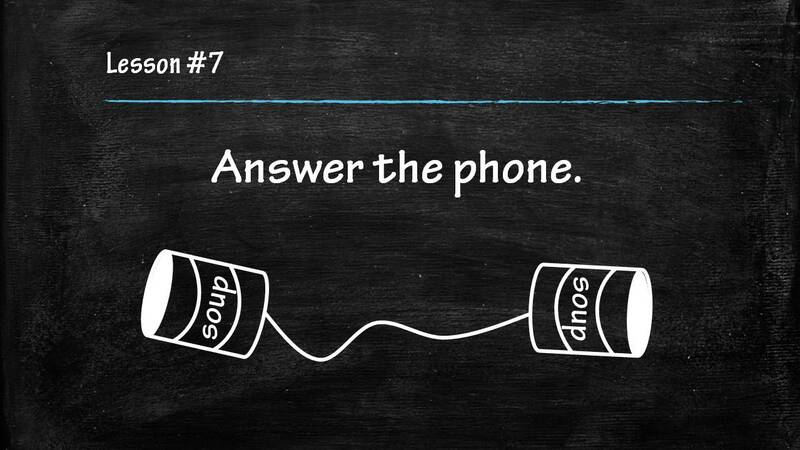 “How to talk to researchers about ___.” You fill in the blank. Most of the time lately, it’s “How do we talk to researchers about their data?” All three presenters during the webinar that I listened to today mentioned it and/or gave advice on the subject, and so I was thinking about it as I was on the hunt for my well-deserved, afternoon treat. Our bookstore always has a cart or two outside of it with books that are marked way down. Passing it, the title, The Art of Conversation: A Guided Tour of a Neglected Pleasure, by Catherine Blyth, caught my eye. “Funny,” I thought to myself, considering what I’d just been thinking about. Now, you might think that these rules are all fine and good for the next cocktail party, but I advocate that they are also EXCELLENT tenets to apply when asking the question, “How do I talk to researchers (clinicians, docs, students, etc.) about data?” About anything. Here’s why… despite the fact that we all live in a harried, time-sensitive, pressure cooker of a working world, most everyone still enjoys an expression of kindness and friendliness. Such expressions accomplish the first two principles – they put both you and the person that you’re talking to at ease. With that in place, everything else that follows becomes a whole lot easier. Similarly, small talk allows you to be inclusive of everyone. It lets you discover those things, sometimes completely unrelated to work (but sometimes not) that allow you to build a conversation that, ultimately, puts you in the best place to achieve your goal(s). Consider your work, your toolbox of skills and knowledge, to be your “magpie hoards.” (I’d never heard this expression before, but I love it.) Review those things that you do and that you know, often. Take stock of yourself. Then, when someone is telling you about his/her research project, your much more likely to be prepared to know just when, where, and how you can insert yourself and your skills into the process. If it’s what you may have initially intended, great. If it’s something else, that’s great, too. Bottom line, you found the way to integrate yourself into the work of the person you wish to help. You’ve experienced success. You might recall that a few posts back I mentioned that I have a new boss. After answering questions about this project and that project and the many iterations of “What do you do?” that a new supervisor needs to ask her team members, I finally sat down last Friday afternoon and wrote out a list of all of the projects I’m currently working on, along with any relevant documentation that explains my role(s) on each, and emailed it to her. I also wrote down the teams that I serve on in the Library and the Med School at large, professional organizations I serve, places that I’ve been invited to speak, classes that I’ve been invited to teach. It was a good list and when I finished I couldn’t help but notice the extent of it. I don’t say this as a way of saying, “Look at all of that stuff I have to do!” but more, “Look at all of the things that I do!” It was a really varied and interesting list and for me, that’s pretty important. I like to do a lot of different things. I like to be involved in a lot of different projects. It makes my job a lot more enjoyable. And I think that this is key when it comes to finding success in the role of an informationist or embedded librarian (likely in a whole bunch of professions). The art of conversation involves being interesting and interested – the more, the better. So go ahead and have your goals and agenda, but keep them on the back burner the next time you’re tasked with talking to a potential patron. Instead, engage them in conversation – even a little small talk – about something(s) you like or know or think they could relate to. Ask them questions about themselves and their work. Ask them if they play a musical instrument or what they think about the scraggly beards that the Red Sox players are partial to this year or if they saw that article in Science News about caffeine and its effect on brain growth in mice (this would be a good one while waiting in line for coffee). You absolutely have no idea where these topics can lead you or the value that they can bring to what you’re trying to accomplish. My bet is that you’ll have better results and if not, you’ll have had the chance to enjoy the “neglected pleasure” of chatting with another interesting person who shares your world.